France’s prestigious ESRA film school arrives in India. ESRA, the only private school authorized by the French government to issue BAE+3 (U.S. bachelor state degree – equvilancy) state degrees, is joining forces with Nextec to bring over 40+ year’s of film expertise to aspiring filmmakers all over India. Learn to direct, shoot, write scripts, use digital equipment, edit, and produce short movie features. Write screenplays for filming with intensive, hands-on education in theory narrative structure. Take courses in audio/sound design, equipment, audio/visual, music, radio, and television editing. Take animation courses in modeling, rendering, compositing, texture, lighting, and animating. Are you the next great international director? At ESRA’s three year course at The School of Cinema and Audiovisual, you’ll attain the knowledge to direct a full film production. Take your idea, create a script, produce your film, and digitally edit the story you’ve always wanted to share with the world. 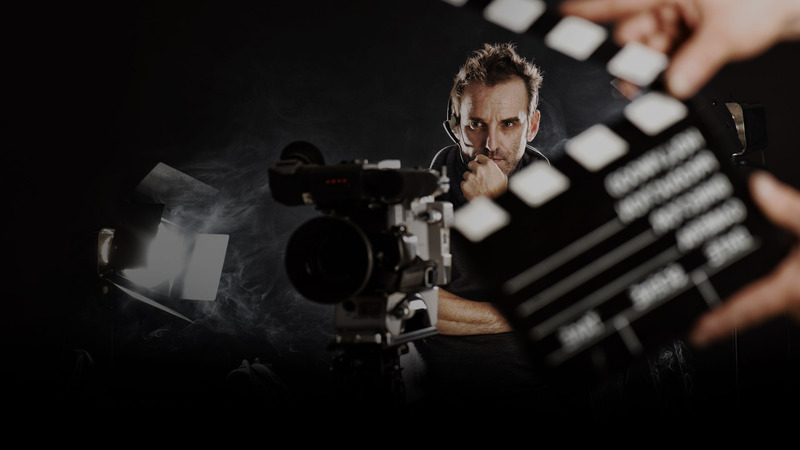 Learn the fundamentals of filmmaking, and the skills necessary to become a great director. Learn how to make a film production from initial idea to full production and digital editing. Create your own signature cinematic style. Take all the fundamental skills of filmmaking you’ll attain at ESRA to develop your own cinematic style. Learn to harness the power of lighting, framing, and so much more. You’ll transition from a capable director to a great director. Learn the ins-and-outs of today’s digital cameras. We’ll remove the learning curve. Learn to use cinematic lighting techniques to set the mood and tone in scenes. Learn to angle and frame your scenes shot by shot. Develop your own unique style. Obtain animating skills that are out of this world. At the end of ESRA’s three year course at The School of Graphic 3D Animation, you’ll have the skills to produce your own animated movie (which you’ll be graded for). You’ll study the responsibilities involved in animated productions, and get practical with storytelling, framing, and editing using programs like 3DS MAX, MAYA, Photoshop, and Nuke. Learn to use Stage 3D 3DS MAX and turn still pages into living, breathing animations. Learn how to tell and frame your story that’s unique and integral to animated movies. Be Immersed in all aspects of production in 3D animating, culminating very own movie. At ESRA’s three year course at ISTS: The School of Sound, we’ll equip you with comprehensive knowledge and skills for modern sound production. Courses and subject matter include sound design, engineering, theory, history, and cultural studies. Sound is an integral component to modern cinema. We’ll make sure you’re ready. Audio is a profound part of today’s cinematic experiences. Learn the science behind the art of sound production. Learn the roles and responsibilities involved in a full sound production, with plenty of practical hands-on experience. Attain a comprehensive understanding of the theoretics of sound. Learn about design, music, history, and culture. Write the story you’ve always wanted to share. At ESRA’s three year course at The School of Cinema and Audiovisual, we’ll take students with little to no experience to drafting screenplays for feature films, shootable shorts, and treatments for TV features. You supply the imagination, we’ll provide the tools. Our courses take students with little or no experience in screenwriting to writing full screenplays and productions. Learn how to properly structure your story. Learn to outline your narrative, and turn rough drafts into screenplays. Journey through the history of cinematic writing. Explore the theoretics of true greats, from Shakespeare to Tarantino.